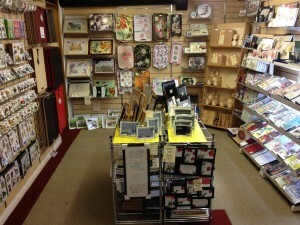 If you’ve ever been upstairs in our home/hardware store you will know we have a Tabletop department. Here you will find a variety of things, from plates and china, glasses and cutlery, to photoframes and candles. Recently there have been a few changes in this department with some items being moved around, to create space for new products. 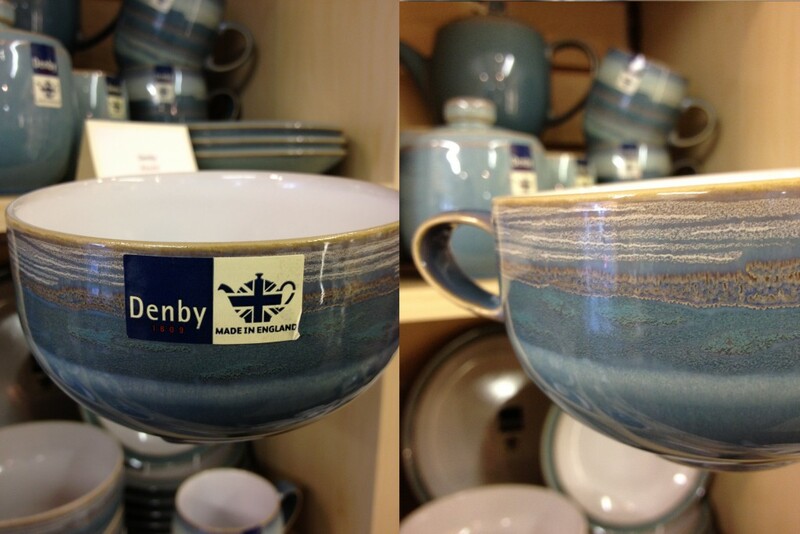 One of the biggest ranges we stock is Denby. A British company which has been producing pottery for over 200 years, Denby make some of the most versatile and hard-wearing tableware around. 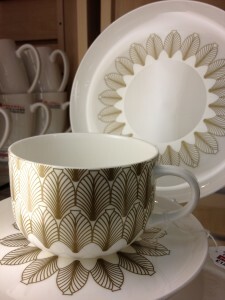 Denby’s collections keep on growing, and each piece is unique. They also produce kitchen and glassware which is the same top quality you’d expect from their tableware. One designer we like is Sophie Conran. She has created a range of tableware for Portmeirion, as well as cutlery and utensils with Arthur Price. Her Portmeirion collection has the look and feel of handmade pottery, while her range with Arthur Price, is sleek and timeless. For something a little bit different, we also stock Maxwell & Williams. Their eye-catching Kimono range comes in a number of different colours, which complement each other so that you can mix and match. ‘Putting on the Ritz’ by Maxwell & Williams has an Art Deco feel to it, with the simplicity of fine bone china underneath the golden finish of the pattern. Both ranges are fridge, oven, microwave and dishwasher safe, giving you ease of use and storage. Not everything we stock instore we are able to sell online, however coming and seeing the ranges offers the chance to see the products up close, so you can literally see what they are made of. If you can’t make it to our stores in Hereford, you can find some of our Tabletop department online, or see some of the other ranges we stock on our social media pages. Arthur Price, bowls, coasters, cups, cutlery, Denby, glasses, Maxwell & Williams, mugs, placemats, places, Portmeirion, Sophie Conran, Tabletop, tumblers, vases, wine glasses. Bookmark.